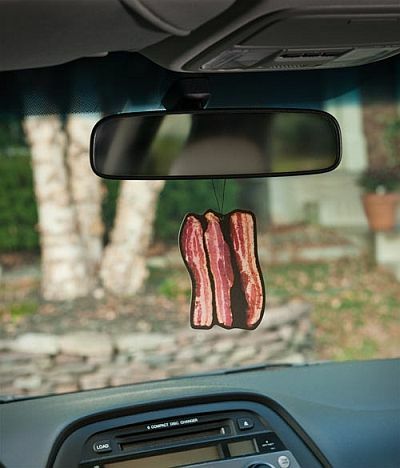 Bacon Air Freshener - Goofts, funny gifts, gags and pranks. Mmmmm...bacon. Sweet, smoky, wonderful bacon. Nature's most perfect food, now available as a air freshener.